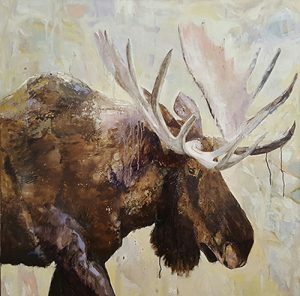 Goldens Bridge, NY– The Anderson Chase Gallery is pleased to present “Call of the Wild!” a juried art exhibition with over thirty participating artists. “Call of the Wild!” will run from November 13, 2017 – December 29, 2017. The public is invited to the Artists Reception on November 18, 3:30 – 5:30pm. “Call of the Wild!” had an unprecedented number of submissions from artists across the Northeast. This show will leave no doubt that nature looms large for so many artists. Works range in media and include oils, acrylics, pen & ink, fiber, photography and sculpture. This exhibit can be previewed at andersonchasegallery.com. The Anderson Chase Gallery is located at the Katonah Art Center in the historic village of Goldens Bridge in Northern Westchester County. The gallery is committed to the promotion of local, regional and national artists. Hours: Mon-Fri, 9-6; Sat. 10-3, Sun. by appointment. For more information, please contact Loren Anderson at [email protected] at 914-232-4843.